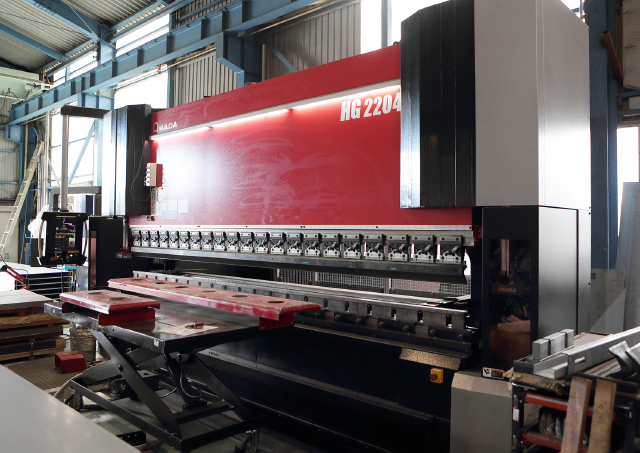 Feature ； Material maximum processing size 1800mm × 6000mm × thickness 9mm ( iron: Steel Structure) / 6mm ( stainless steel : Steel Use Stainless), high-precision punching machine with small hole size up to 76.2mm. 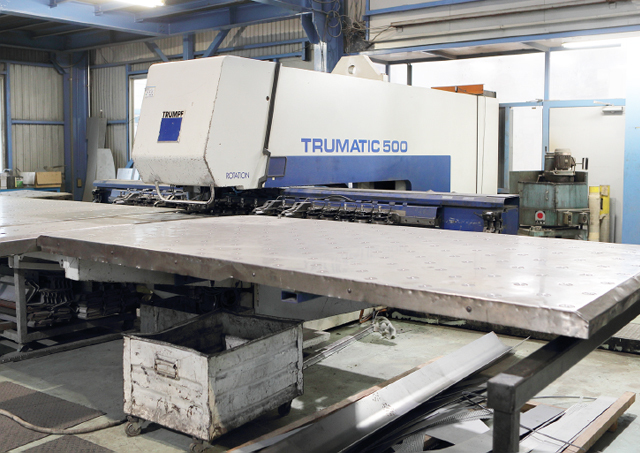 Feature : Through brilliant cuts, surface roughness can be processed in a conventional ratio of 40-50% reduction. Finishing time is shortened and high quality post-processing is now possible. 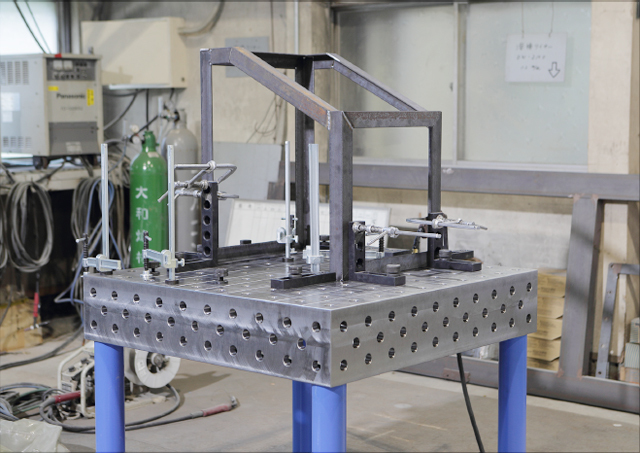 It is also possible to process sheet thicknesses of 0.8~19mm (SS400) for not only stainless steel and aluminum, but also channeled steel. 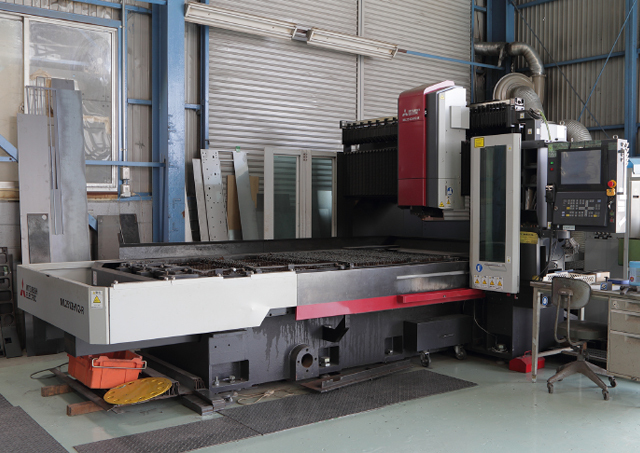 Materials up to 1212mm × 2424mm can be processed. 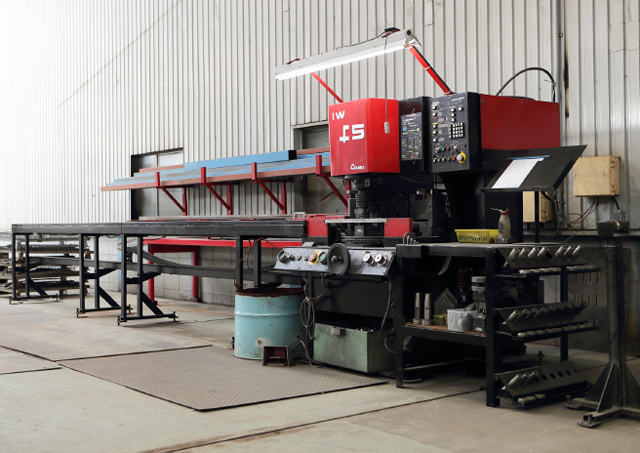 Feature : Because this system is made up of the latest machine, both thin and thick plates can be processed quickly and precisely, and products are accurate and delivered in a short time. 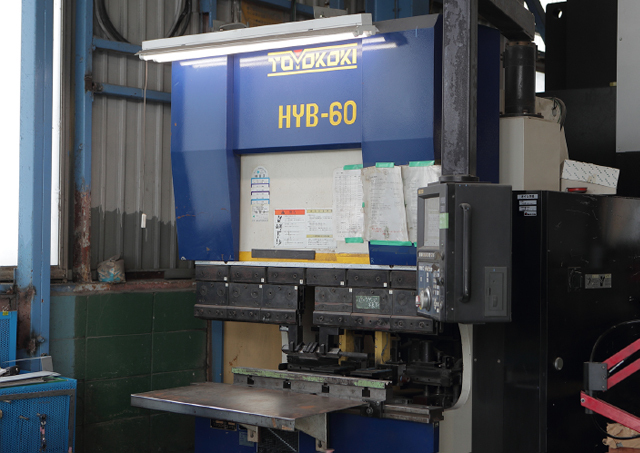 Feature : Maximum material lengths of 3000mm can be processed speedily on this standard press brake machine. 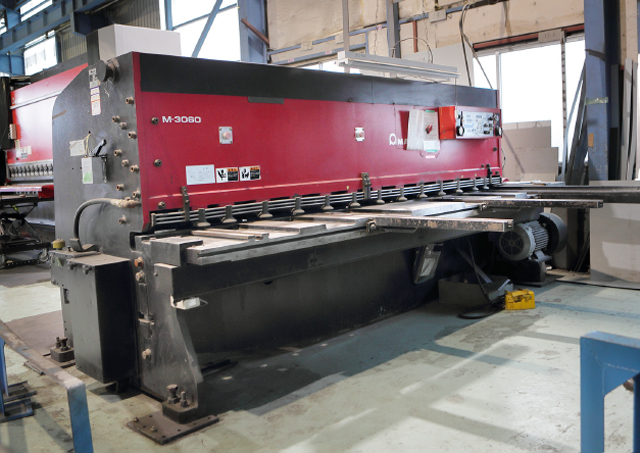 Feature : Using this standard mechanical shearing machine, maximum material lengths of 3050mm and up to 6mm thickness can be cut. 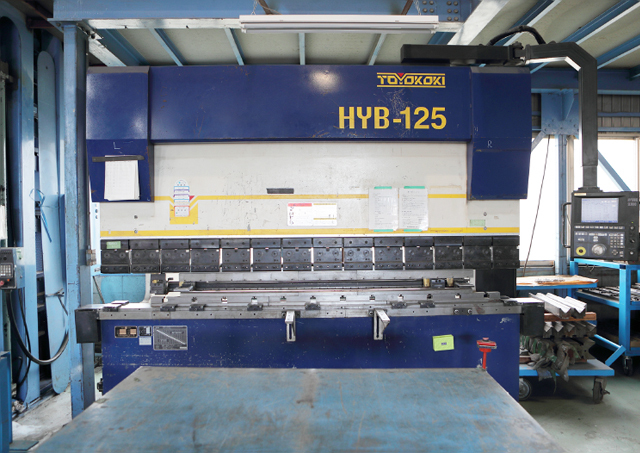 Feature : A variety of shapes can be processed, including cutting, punching, notching, bending, and a wide variety of punching depending on the case. For long stroke processing, materials up to 9mm can be processed. Feature : Corresponding to the shape of such a pipe duct in the deployment by the three-dimensional model. 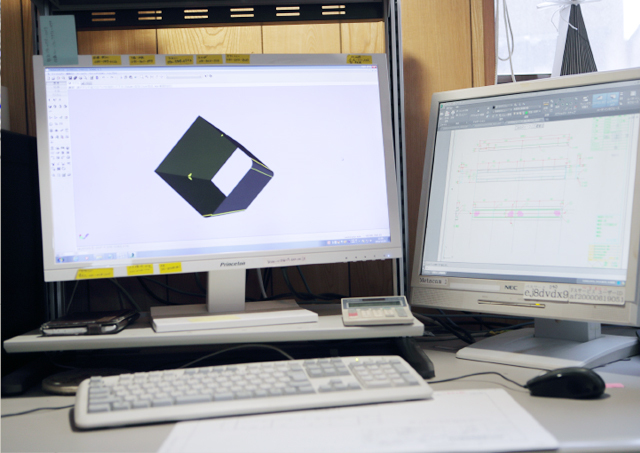 Feature : Expanding on the product draft, 3D integrated CAD/CAM is utilized. The NC data may be sent directly to the equipment. Because the software is integrated, problems as well as improvements can be noted in advance. All Rights Reserved, Copyright(C) BISAN CO., LTD.